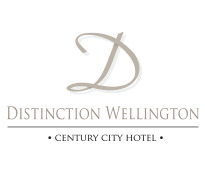 Distinction Wellington Hotel's Stay 2 Nights & SAVE deal is perfect if you're attending the myriad of events or attractions in Wellington. To secure this great rate just book 15+ days prior to arrival. Don't miss out, scroll down to select your dates and room type & book your central Wellington accommodation now! *Must book at least 15 days prior to arrival to qualify for these special rates. No refunds are permitted on these accommodation bookings. In the case where cancellation or amendment of a booking is required, the full quoted amount of the reservation will be charged. Guests requiring alternative accommodation dates will need to rebook, no amendments/transfers permitted. A maximum of 2 rooms can be booked on Stay & Save rates. Please note these Stay & Save rates are not valid for events & conferences.